I've had this motherboard (4coredual-sata2) for about a year now. I've been using DDR 400Mhz with an Intel 650 3.4Ghz... but wanted to upgrade to a Q6600 quad core and max this system out... This system is sold as being only able to support 2GB MAX 2x 1GB modules. When researching the specs online I found it intriguing that some people had success running this board with 2 x 2GB modules... which indeed would make this mobo alot better! Prior their installation, while still running with DDR RAM I changed bios settings back to use SPD settings (to automatically determine proper settings for the new DDR2 modules) I then shutdown and installed 1<sup>st</sup> 2GB module (1module at a time). The first boot up was successful. 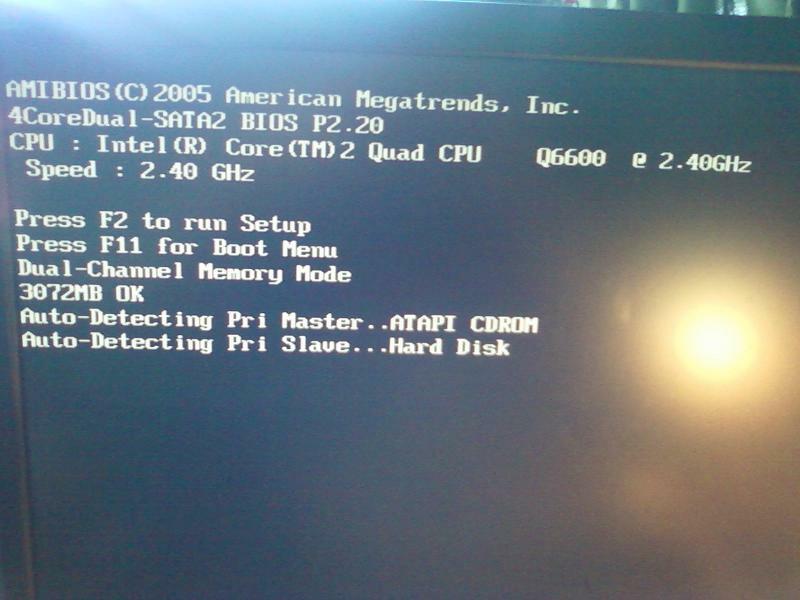 With the bios screen loaded I continued into the bios memory page, where I manually set SPD timings and voltage. Timing 4-5-5-15 @ 333MHz and Voltage set to Low. Saved and shutdown. Installed 2<sup>nd</sup> 2GB module and booted up. All systems are GO! Bios displayed 3072MB of Ram Installed… and continued to post and boot into Windows… ran the system several days and was rock solid (and has been for months)… I only wish I had gotten ram modules that would have had a FSB:DRAM ratio 1:1 with my processor… but oh well I am happy with the performance increase from DDR2 and the “extra” ram!